The Z2-B has a 2-zone, 40-watt, configuration that is ideal for all business types where sound masking and paging /BGM are required. 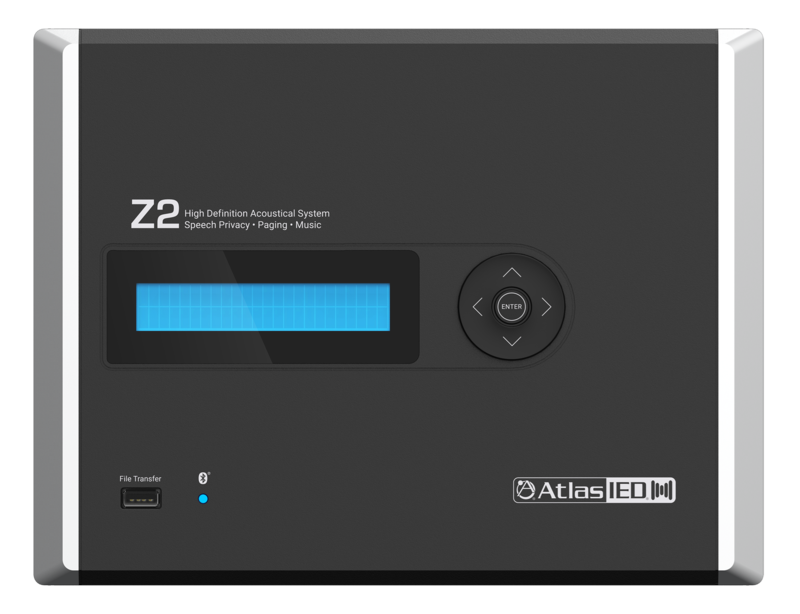 The Z2-B includes 2-zones of 70V output and can operate in multiple configuration modes: two-zone indirect field sound masking (up to 7000 square feet), a single zone of direct fields sound masking, or one zone can be used for indirect sound masking and the other for paging and background music. The unit can be mounted multiple ways including in-wall, surface mount, or rack mount. Once installed all hardware and wiring is located behind the secure front panel making it convenient for integrators to centrally locate all wiring without the need for a cabinet. The front panel display allows for system programming as well as end user control post installation. The unit comes preconfigured with multiple sound masking filter presets selected by renowned sound masking expert Dr. Bob Chanaud that are user selectable to match the installation type. 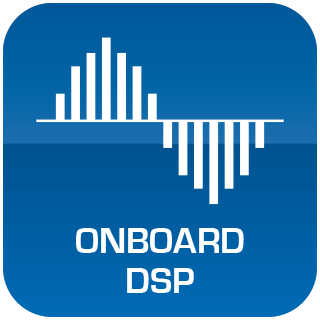 Custom presets have been configured in the included PC project design software that can also be loaded via the front panel USB port. For conference room applications where secure speech privacy is required, the Z2-B features a Speech Privacy Enhancement mode that can be engaged while a meeting is in progress. Speech Privacy Enhancement mode applies additional acoustical energy to the surrounding environment, increasing the privacy levels for the conference room occupants. AtlasIED has been developing, manufacturing, and assisting and commissioning sound masking systems for over forty years using proprietary Chanaud masking Filters. These unique secured speech filters have been approved and implemented in many installations around the world including military and government facilities. Activation of the Speech Privacy Enhancement feature is accomplished by hardwired switch, an iOS® or Android® application, or using an optional wireless desktop / wall mount switch. An optional wired or wireless sign is available for a visual aid to notify attendees when Speech Privacy Enhancement is active.